I can not stress enough how much white teeth mean to me. 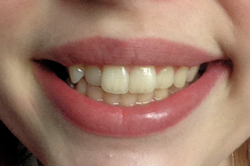 Being a blogger I very often tend to take a lot of pictures of myself and the one thing I always notice is my teeth. 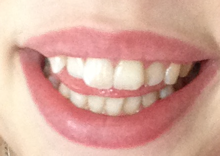 I am forever moaning about my teeth and how I can get them whiter. I have always dreamed of pearly white teeth I mean who doesn’t want white teeth? 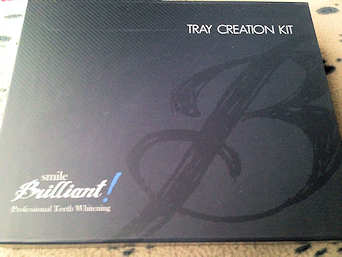 Smile Brilliant custom fitted teeth whitening trays are hand crafted by dental lab technicians which means they are formed to fit to your teeth with precision. In the past a visit to the dentist was required accompanied by a price tag of $500+. 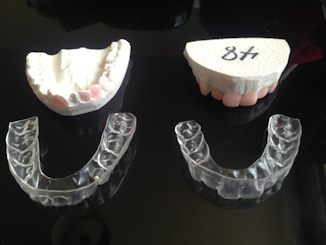 Those days are long gone because of Smile Brilliant’s lab direct custom teeth whitening trays. 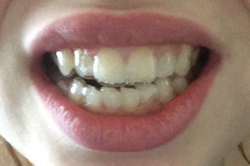 Our whitening trays are identical to those provided by the dentist, but our price tag is not! Save as much as 70% at Smilebrilliant.com on all things. When Smile Brilliant contacted to me to collaborate I was over the moon. Teeth Whitening trays sounded perfect to me just being able to pop them in for as a little as 45 minutes whilst im doing the washing or tidying up fits around me nicely. I have now used this product 4 times and I am really please with the outcome. I feel so self-concious about my teeth and it really isn’t a nice feeling but I tend to smile a lot and then I start to think about my teeth. I was sure that Smile Brilliant was able to help me. 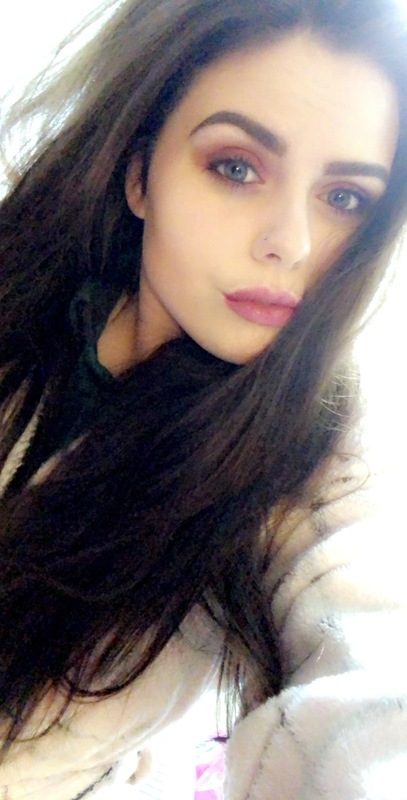 I have tried other teeth whitening before and they don’t really seem to help I get those white stripes on my teeth which are so annoying and I end up looking stripey (not a good look) and to top it off they make my teeth so sensitive and they start to hurt. What I love about Smile Brilliant is that they supply you with desensitizing gel which helps people with sensitive teeth just like me and it makes it so much easier. 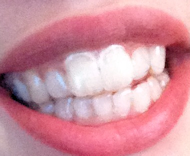 I can honestly say my teeth haven’t got stripey and It whitens your teeth evenly. Your teeth are always on show so to me it is important to have a nice pearly white smile. I received the teeth whitening kit and inside I had, 3 base pastes, 3 catalyst pastes, teeth whitening gel, desensitizing gel, instructions and a postage bag. 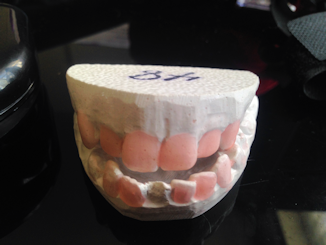 When I received the teeth whitening kit the first thing I needed to do was make dental moulds and send them off to them. First I mixed catalyst & base paste together, you are given an extra one of each just in case you accidently do one wrong. You then need to put the putty in the tray and put it into your teeth. You will need to do two of these as you need to do the upper and lower teeth. After you have done that you wait for it to set and then send the impressions back to Smile Brilliant. 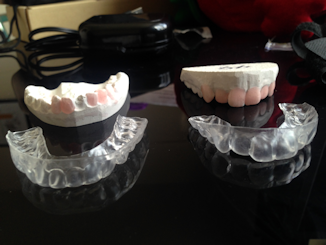 It took around a week for them to get my impressions and send my moulds to me. I was really impressed with the moulds. Smile Brilliant do not usually send the moulds only the plastic trays but I thought I would show you what the moulds look like and how they are made into the plastic moulds. They have 2 gels. 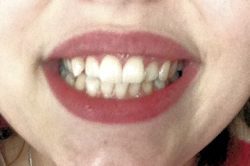 One is the teeth whitening gel itself and the other is desensitizing gel which is to help people with sensitivity. I generally leave the gel on for around 45 minutes to an hour. 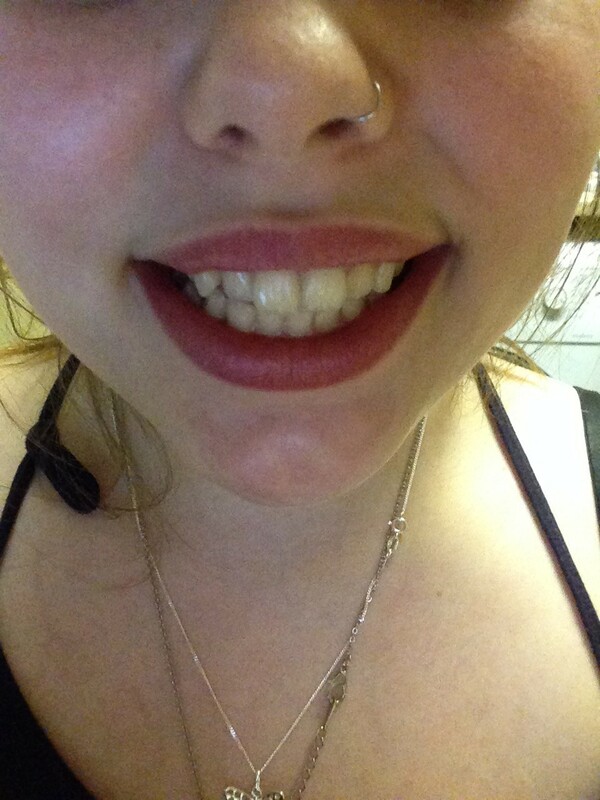 I feel that they have whitened my teeth up to two shades whiter. You only need a small ribbon of gel on the plastic trays and you can use the same teeth whitening gel for up to 4 uses. Overall I absolutely love this product and I will continue to use it and buy more teeth whitening gels and will keep you all updated on how it is going. This is one of the best teeth whitening products I have ever used but I must say be careful with how much you put on the trays because silly me managed to burn my gums and it ended up really sore. I would recommend this to all my friends and family and anyone who is looking for a guaranteed teeth whitener. I am extremely happy with my results.